Chinese Banks as direct participants in the new LBMA Gold and Silver Price auctions? Not so fast! There is a growing assumption in the financial media that a number of Chinese banks will be joining the new LBMA Gold Price auction as direct participants when the auction launches in London on Friday 20th March. 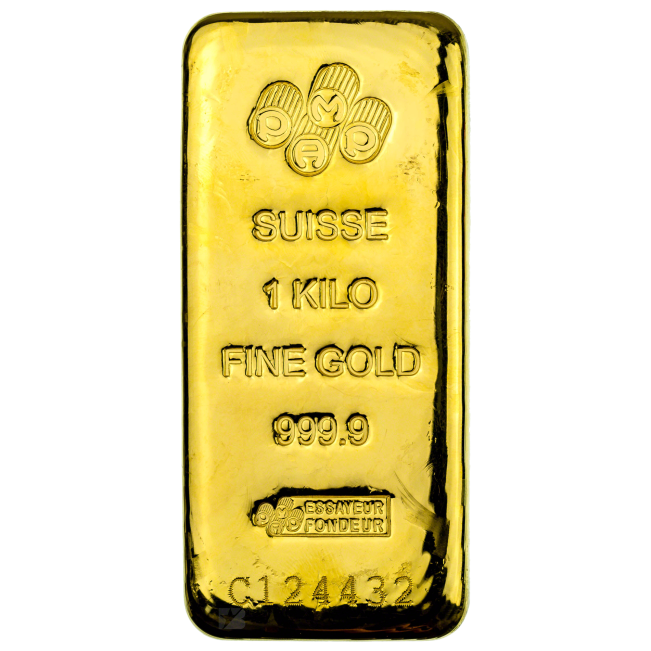 This assumption is based on various sources, but primarily on a number of general comments made by the London Bullion Market Association (LBMA) in February, and also some comments made by the LBMA last October. There are, however, a number of dangers in assuming that some of the Chinese banks will be direct participants in the new gold auction at launch date, not least of which is that the identities of the direct participants will only be revealed on 20th March, but also the fact that the LBMA’s comments above didn’t specifically say that Chinese banks will be direct participants on launch date. The LBMA’s comments merely said that Chinese banks were interested in participating in the auction. ICE Benchmark has just published an FAQ document on its website, and in answer to “Who are the direct participants in the auction?”, it states “direct participants will be announced on the day of launch.” Note that the LBMA refers to the entities that will participate at launch date as ‘phase one participants’. Indeed, the vague nature of the reference to Chinese banks in the 2nd February press release forced the major financial media outlets to be non-committal about the Chinese banks as direct participants on launch date. There is also a danger in assuming that the LBMA’s use of the word ‘participant‘ refers to ‘direct participant in the auction‘, although it’s totally understandable that most people would make this assumption. As is often the case, the LBMA’s communications and press release language leaves a lot to be desired when addressing anything to do with the gold and silver fixings, and needs to be read and interpreted carefully. Furthermore, in my view, neither the LBMA nor ICE have publicised and explained the concept of direct participant properly. Therefore, many commentators on the new Gold Price auction don’t seem to realise that there is a difference between being a direct participant in the auction and another type of participant in the auction. At the end of the day, this other type of ‘participant’ is basically just a client of a direct participant. Although ICE says in its FAQ document that “the auction is designed to allow as broad participation as possible”, it does not elaborate. Interestingly, ICE reveals its view that even though the Gold price auction will not at this time use a centrally cleared model, this should not require the use of credit lines because until a centrally cleared model is introduced, “weaker credit names can be accommodated via pre-collateralisation.” The concept of credit lines is explained below and is another example of where the LBMA has avoided explaining the concept to the global gold public. At this point it’s worth highlighting that there are only three Chinese banks that could realistically become direct participants in the new LBMA Gold Price auction right now, namely, Bank of China, the Industrial and Commercial Bank of China (ICBC), and China Construction Bank (CCB). Bank of China is a commercial bank and should not to be confused with the People’s Bank of China (PBOC) which is the Chinese central bank. The reason why only Bank of China, ICBC and China Construction Bank can join the Gold Price auction as direct participants is that these are the only three Chinese banks that are ‘Full’ members of the LBMA, and the LBMA, at a minimum, will not allow any non LBMA members to participate in the auctions as direct participants. These three Chinese banks have full membership due to being ‘Ordinary’ members of the LBMA. The other category of full membership of the LBMA is of course the LBMA market makers, or which there are currently fourteen of these. As explained below, these three Chinese banks qualify for directly participating in the recently launched LBMA Silver Price auction, so the Silver Price participant criteria are a good proxy by which to measure the eligibility of the Chinese banks to be direct participants in the LBMA Gold Price auction. There are of course other giant Chinese banks that are major players in the gold market, such as Bank of Communications and Agricultural Bank of China, however, as they are not LBMA members or even LBMA associates, they would not be able to qualify to be direct participants under the LBMA’s strict and exclusionary auction participant rules. As a quick recap, the current scandal ridden London Gold Fixing which is being discontinued from 19th March is still, at the time of writing, being run twice daily by Barclays (who was fined by the FCA for manipulating the gold price in 2012 during the Gold Fixing), HSBC, The Bank of Nova Scotia, and Société Générale. In April 2014, Deutsche Bank, which also held a seat in the Gold Fixing, resigned from the Fixing and renounced its fixing seat as of mid May 2014. Deutsche bank then gave up its seat in the Silver Fixing on 14th August. When the new LBMA Silver Price auction was launched on 15th August last year (administered by Thomson Reuters with CME Group as the auction calculation agent), there were only three initial participants, namely, the HSBC Bank USA NA, Bank of Nova Scotia (Scotia Mocatta) and Mitsui & Co Precious Metals Inc.
Two of these participants, HSBC and Scotia, had been the incumbent members of the triumvirate London Silver Market Fixing Limited company, along with Deutsche Bank. Mitsui, the Japanese bank, in some ways just took the place of Deutsche Bank, or at least, that is how it was viewed in the media. Despite misleading claims from the LBMA on August 15th that it “fully expects the list of price participants will grow over the coming weeks” and that “these participants include banks, trading houses, refiners and producers”, this wider cross-sectional direct participation in the Silver auction never happened. In a very low-key on-boarding process, only three additional entities joined the new Silver auction following the launch on 15th August, and all three of these entities were bullion banks that joined without the fanfare of press releases from the LBMA or press releases from the banks in question. UBS joined the Silver auction on 26th September, JP Morgan Chase Bank joined the Silver auction on 14th October, and The Toronto Dominion Bank joined the auction on 6th November. What’s very interesting about these six banks is that they are all represented on the LBMA’s 10 person Management Committee. The current Management Committee of the LBMA consist of Grant Agwin of Johnson Matthey (Chairman), Steven Lowe of Bank of Nova Scotia-ScotiaMocatta (Vice-Chairman), Peter Drabwell of HSBC Bank USA NA, Kevin Roberts of JP Morgan Chase Bank, Philip Aubertin of UBS AG, Robert Davis of Toronto Dominion Bank, Jeremy East of Standard Chartered Bank, Simon Churchill of Brinks Ltd, and Ruth Crowell (Chief Executive). Note: Anne Dennison of Mitsui was appointed as a director of the LBMA on 25th September 2014, but then this appointment was terminated on 20th December 2014. 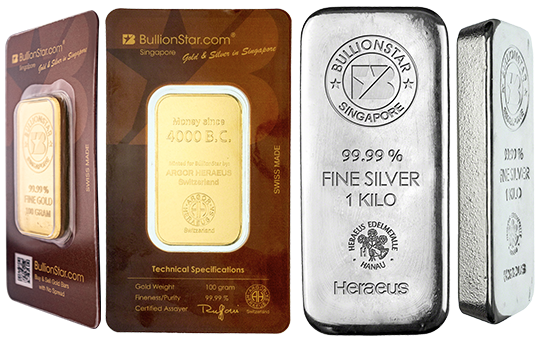 Readers may wonder if some or all of these six bullion banks were pre-selected or encouraged to participate by the LBMA even before the LBMA Silver Price auction was launched in August. The answer to that would be a definitive ‘Yes’, since, from as early as July 2014, the LBMA and the CME Group had already identified a group of 6 to 7 bullion bank ‘first tier participants’ that they had agreed would be the initial pipeline of benchmark participants to receive LBMA accreditation to take part in the new Silver auction. This information was conveyed by CME to the London silver market during the CME’s pre-launch information and training sessions. As for wider silver market participation in the auction, this was never part of the phase 1 plan for the silver auction. Phase 2 of the Silver auction using a central counterparty clearing system was also quietly dropped by the LBMA and CME Group despite initial lip-service claiming such as a development was on the immediate horizon. In the end, UBS joined but Credit Suisse seems to have had a change of mind. What are the chances that all six participants that did join the LBMA Silver Price auction would all be bullion banks that are represented on the LBMA Management Committee? Or said another way, what are the chances that six of the seven banks represented on the LBMA Management Committee (apart from Standard Chartered) would end up as the only participants in the new LBMA Silver Price auction? In a random world, the chances of that would be remarkably small. As to how much time equals ‘some time’, or what ‘controls perspective’ referred to, Crowell did not elaborate. As discussed below, there are no criteria from a ‘control perspective’ that the large Chinese bank members of the LBMA would not qualify under to participate directly in the gold and silver auctions. However, it’s notable above that there was an LBMA view that the Chinese participants would join both the Gold and Silver Price auctions at the same time. “Several Chinese banks are set to join the London Bullion Market Association’s (LBMA) gold and silver pricing benchmarks, with a spokesman indicating that they are simply waiting for the administration to be decided. A handful of Chinese banks indicated to LBMA chief executive Ruth Crowell during a recent visit to China that they would like to take part in the daily silver pricing benchmarks, the spokesman said. The Bullion Desk article again refers to the Chinese wanting to participate in both the Silver and Gold daily auctions, but even more interestingly, it appears that the Chinese banks placed a high value on knowing which administrator was going to run the Gold Price auction. Its unclear why the Chinese would be so concerned about the identity of the auction administrator. It’s possible they did not approve of one administrator i.e. CME Group, running both auctions. It may also have been a red-herring on the part of the LBMA to raise this as an issue, however now that this information is known, i.e. ICE Benchmark Administration, it would be interesting to know how the Chinese view this outcome. “Among those that are interested in participating in the discovery processes are several Chinese banks that the LBMA recently met in China. 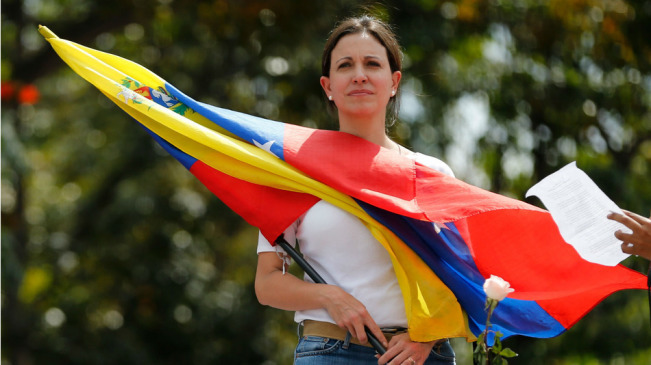 These were initially interested in contributing to gold price discovery, but then said they would like to get involved in the silver process, Crowell said. “It’s been very welcome to see that quite a few banks in China are very interested in taking part. They said they definitely wanted to be there on day one for gold and that they’d look to get involved in silver as well,” she added. So, the LBMA has gone on record as stating that the Chinese ‘definitely’ want to be participants in the LBMA Gold Price auction on Day one (which is 20th March 2015). If the Chinese had indeed been curious as to which administrator would be chosen to run the Gold Price auction, perhaps they will be curious about the fact that ICE Benchmark Administration has just announced that over the short-term, it is planning to employ a human (as opposed to an automated) chairperson in the daily Gold Price auctions. However, ICE will not reveal at this time who they have selected as this chairperson. The identity of the chairperson will only be revealed on launch day, 20th March. Again, to reiterate, ICE will not reveal publicly until launch day as to who this chairperson is. 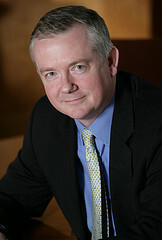 With “extensive experience in the gold market”, it would be unfortunate and probably unacceptable to many entities in the wider global gold market (including the Chinese banks) if this chairperson (for example former Barclays director of the London Gold Market Fixing Limited Jonathan Spall), was closely connected to the LBMA or closely connected to one of the LBMA bullion banks or the soon to be discontinued Gold Fixing, since that would not demonstrate the degree of independence that IBA is claiming. The main requirement for Bank of China, ICBC and China Construction Bank in becoming participants in the LBMA Gold Price auction at launch on Day 1 would be for them to meet the LBMA’s Participant criteria as well as ICE Benchmark Administration’s Participation criteria. Given that the LBMA and IBA have not yet published these Gold Price auction criteria in the form of a methodology guide, the best approach right now is to look at how the Chinese banks would fulfill the participant and participation criteria that were formulated in July/August 2014 for the LBMA Silver Price auction. Since, as explained above, the Chinese banks actively want to participate in the daily Silver Price auction, they will have to go through this application process anyway. Additionally, the Silver Price accreditation criteria can be assumed to be very similar to the criteria of the Gold Price auction since the two auction processes are basically identical. In August 2014 a document titled “Commodities Benchmark Methodologies: LBMA Silver Price” was published under the name of Thomson Reuters, the administrator of the LBMA Silver Price benchmark. This methodology guide was jointly written by the LBMA, Thomson Reuters, and the CME Group and discusses the methodology that the three partners have established for the silver price benchmark, including the criteria that qualifies an applicant to be authorised as a silver auction participant. – meet the requirements set by CME Benchmark Europe Ltd to use the technology platform and participate in the auction market place. The market participants are accredited by the LBMA; access to the auction platform is approved by CME Benchmark Europe Ltd.
A participant has to be a Full Member (Ordinary or Market Making) of the LBMA. All three Chinese banks, i.e. Bank of China, ICBC, and China Construction Bank are already Ordinary members of the LBMA. Bank of China has been an ordinary member of the LBMA since at least 1999. See LBMA member list here from August 1999. Industrial and Commercial Bank of China (ICBC) became an ordinary member of the LBMA in late 2011. On 7th October 2014, China Construction Bank was admitted as an Ordinary member of the LBMA. So, all three Chinese banks, as Ordinary members of the LBMA, are also Full members of the LBMA, and therefore fulfill the first criterion to be direct participants in the auction. So, given that the three Chinese banks are Ordinary members of the LBMA, by definition they trade, settle and clear gold and silver in the loco London market and by definition they maintain loco London clearing accounts. This fulfills the second criterion for direct participation in the auctions. All Full members of the LBMA (Ordinary and Market Making members) have to pass ‘know your customer’ (KYC) procedures and ‘declare conformance with the Non-Investment Products Code’ before being accepted as members. Again, by definition, the three Chinese banks fulfill these requirements also since they are already Ordinary members. Therefore, to become direct participants in the auction, the three Chinese banks would just need to receive LBMA approval and sign up to the ICE auction platform and its participation criteria, which would essentially refer to adopting something that could be called the Gold Price Participant ‘Code of Conduct’, which is just a subset of IOSCO benchmark principles that specifically address ‘code of conduct’. And given that the Financial Conduct Authority (FCA) has decided very recently that the participants in the Silver and Gold Price auctions are not even defined as submitters, then the codes of conduct are even less severe than, for example, in the new LIBOR process. Adhering to the Code of Conduct just allows the administrator (IBA) to maintain a set of internal controls in the auction platform that allows for the collection of the price inputs in an IOSCO compliant way. In summary, there is nothing in the LBMA participant criteria or administrator participation criteria to exclude Bank of China, ICBC and China Construction bank from being direct participants in the LBMA Gold Price and Silver Price auctions. One final point on this matter is that the new gold and silver auctions, like the old gold and silver fixing auctions, make use of bilateral credit lines between all of the auction participants. What this means is that to participate in the auctions, an entity has to have large credit lines set up with all other participating entities, which essentially creates a mutual pool of credit, and all the participants share this pool of credit. The LBMA could easily have introduced a central clearing platform for the trades in the new auctions so as to have prevented the need for large credit lines (both the ICE and the CME systems allowed this, as did the LME solution), but the bullion banks chose to ignore this solution, and are conveniently using the need for credit lines as an excuse to keep out smaller participants who might want to participate directly, such as refiners, miners etc but who do not have credit lines established. 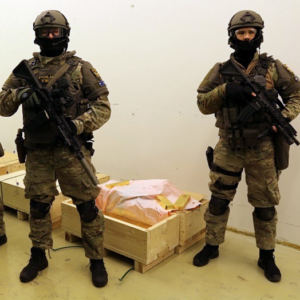 It also conveniently protects and ring-fences the London Precious Metal Clearing Company’s AURUM unallocated metal clearing platform which is another critical point, but beyond the scope of this current discussion. Again however, the large Chinese banks would have no problem running large credit lines with the other bullion bank participants, since Bank of China, ICBC and China Construction are some of the largest banks in the world with very high investment grade credit ratings and strong tier 1 capital ratios. Let’s look at the three Chinese banks that are Full Members of the LBMA, i.e. Bank of China, ICBC, and China Construction. 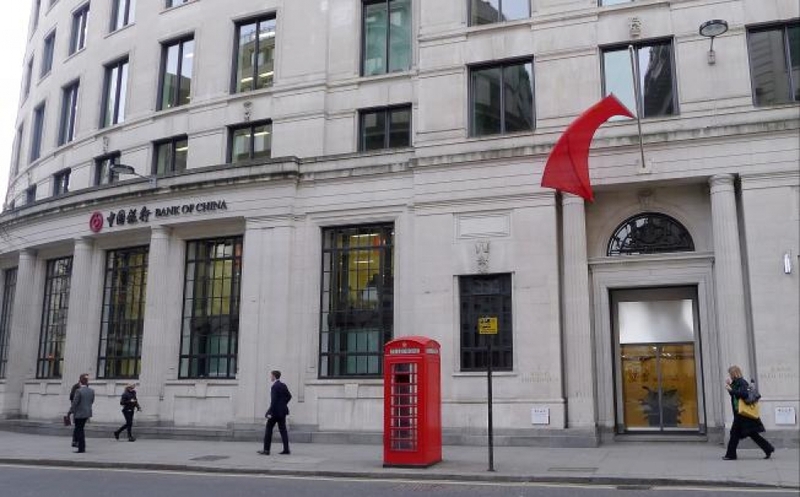 All three of these Chinese banks have their UK headquarters in the City of London, near the Bank of England and incidentally very near the LBMA’s offices also. Bank of China is at 1 Lothbury, China Construction is at 111 Old Broad Street, and ICBC is at 81 King William Street. These three locations form a triangle, and are literally 5 minutes walk from each other, and coincidentally, the LBMA offices at Royal Exchange Buildings are right at the heart of this triangle. 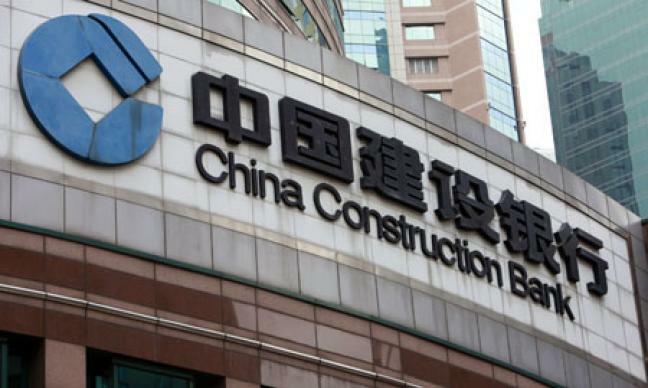 China Construction Bank became an ordinary member of the LBMA on 7th October 2014, and is classified by the LBMA as a bank entity (as opposed to a broker) and is categorised under country classification of China. 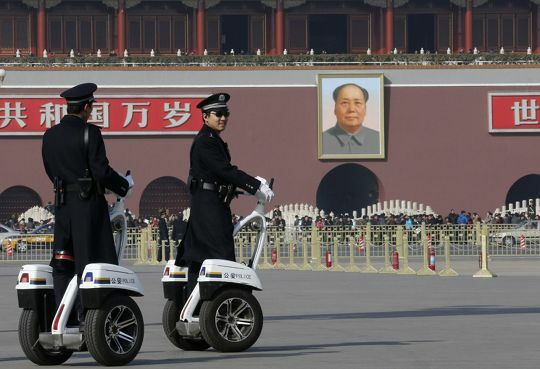 China Construction’s headquarters is in Beijing. China Construction Bank (London) Ltd had been based at Heron Quays in Canary Wharf (east of the City) but in June 2014, the Bank purchased a building at 111 Old Broad Street, in the City (of London) to use as its new European headquarters. CCB is active in the offshore RMB market and in 2012 received the designation as the “first clearing bank outside Asia for the Chinese currency”. In June 2014, CCB was also designated by the Chinese central bank as the London RMB clearing bank. CCB London is the 2nd largest Chinese bank in the UK. In 2013, CCB was ranked 5th in the “Top 1000 World Banks” by the Banker Magazine, and ranked as 2nd by the Banker in 2014. Both CCB entities are permitted to arrange, deal and transact in investments in the UK including commodities. ICBC is an Ordinary Member of the LBMA and was admitted as an ordinary (Full) member of the LBMA in late 2012. See press release 23rd December 2011. ICBC is classified by the LBMA as a bank, and is categorised under country China, with its headquarters in Beijing. 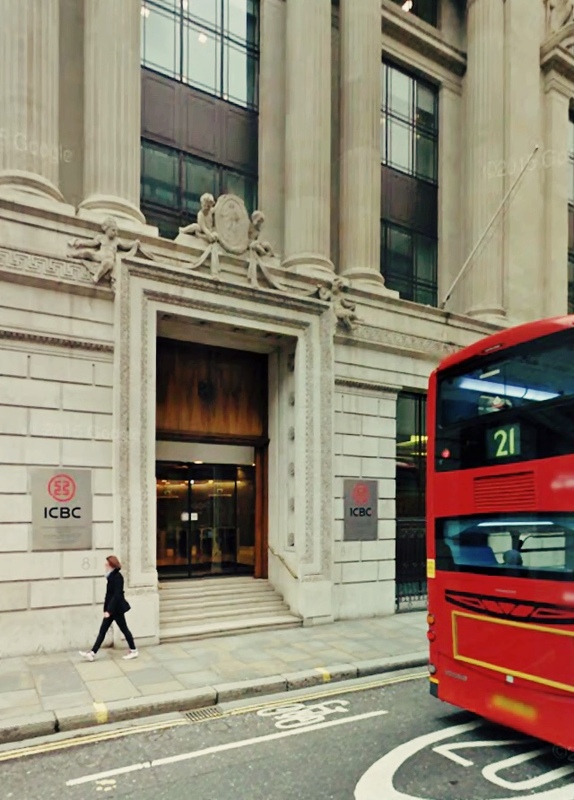 ICBC also runs two main UK entities ICBC (London) plc, regulated by the Financial Conduct Authority and Prudential Regulation Authority effective 01/04/2013, and Industrial and Commercial Bank of China Limited, regulated by the FCA and PRA effective 08/09/2014. Both entities are permitted to arrange, deal and transact in investments in the UK including commodities. 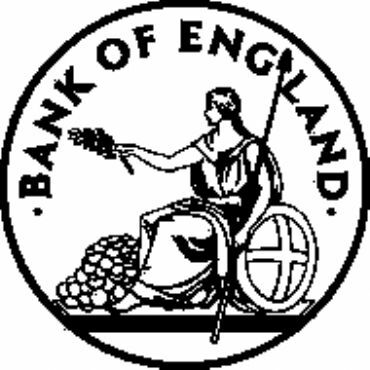 Bank of China is a Full ordinary member of the LBMA, is classified as a bank by the LBMA, and interestingly, in the LBMA schema is categorised by the LBMA under country UK, and not China. 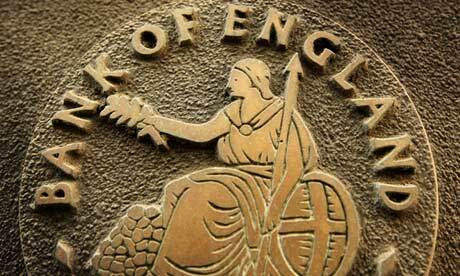 Its Headquarters is 1 Lothbury, which is the street behind the Bank of England. Bank of China issued RMB bonds though its London branch in January 2014. This followed similar RMB issuance from ICBC and CCB. “The major currencies that we can provide for FX spot are: Australian Dollar (AUD), Canadian Dollar (CAD), Swiss Franc (CHF), Chinese Renminbi (RMB)….etc…etc… Swedish Krona (SEK), U.S. Dollar (USD), Singapore Dollar (SGD), Silver (XAG), Gold (XAU), South African Rand (ZAR), etc. There are similar statements for Swaps and Forwards. There are three Bank of China entities in the UK. 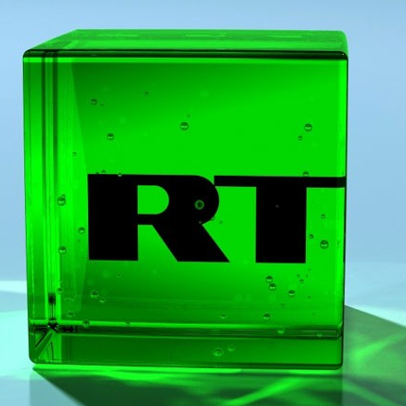 Bank of China (UK) Ltd, Bank of China Limited, and Bank of China International (UK) Ltd, which are, to various extents, regulated by the FSA and the PRA. All three Bank of China entities are permitted to arrange, deal and transact in investments in the UK including commodities. 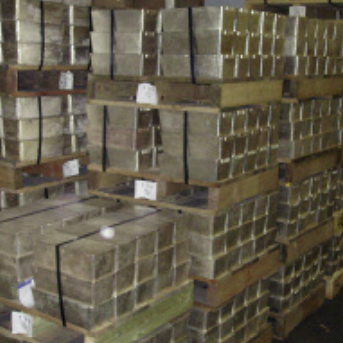 On 7th November 2014, upon announcement of ICE (IBA) being ‘selected’ as administrator of the LBMA Gold Price, Ruth Crowell said “we are pleased to have eleven entities intending to be Phase One Participants.” These entities (bullion banks) had signalled their interest to the LBMA before, during and after the period from October 24th (an LBMA closed-door seminar about the new gold auction and the various proposals) up to 4th November (LBMA committee meetings to discuss the vote and agree on the winning entry). The “Phase One Price Participants” as the LBMA refers to them, were also involved in these discussions in and around 4th November. Since this announcement about the “eleven entities intending to be Phase One Participants” was only three weeks after Crowell’s statement that “it will take some time from a controls perspective for them [Chinese banks] to get where they need to be”, this would suggest that the Chinese banks were not part of this group of 11 phase one participants. 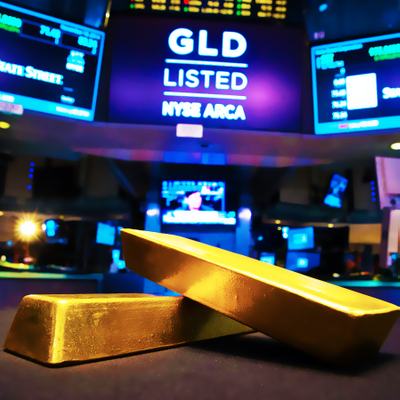 “The London Bullion Market Association (LBMA) has already received interest from 13 banks or other firms looking to become direct participants in the new gold price benchmark auction. However, and this is an important point, there were no representatives from Bank of China, ICBC, or China Construction in attendance at the LBMA’s Lima conference in November, so the 2 additional interested parties that expressed an interest during the conference were by definition not Chinese, unless they had contacted IBA remotely while the IBA and LBMA executives were in Lima, which seems highly unlikely. See 2014 conference delegate List pdf, and also another version here. It would be unusual for Chinese banks to be planning to imminently join the Gold Price and Silver Price auctions but not attend the LBMA conference, since this conference was attended by senior executives of the winning administrator, ICE Benchmark Administration, as well as senior representatives from the CME Group and Thomson Reuters. Small delegations from some Chinese banks did chose to go to the LBMA’s Singapore Bullion Market Forum in June 2014. Here, ICBC’s Zhou Ming, General Manager, Precious Metals Department actually made a presentation, and other ICBC precious metals staff, as well as China Construction staff, attended, but no one from Bank of China. There was one Bank of China senior executive, Steven Haydon, at the 2013 LBMA annual event in Rome. 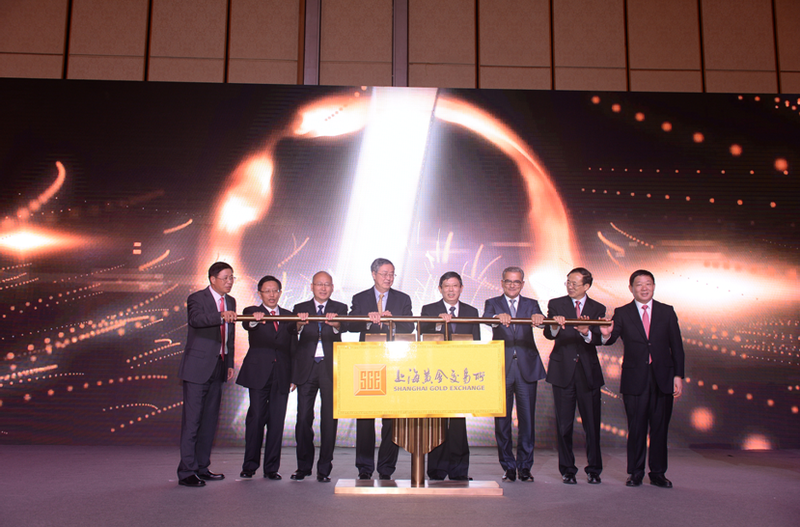 The LBMA’s 2012 Conference, which was held in Hong Kong, was attended by Yan Wang of Bank of China, London, as well as Xiaoyang Liu and Zheng Zhiguang of ICBC China. But overall the attendance of Chinese Bank delegates at these LBMA conferences over recent years has been patchy at best. Who approves the Direct Participants? The LBMA! In its FAQ document, ICE also explains that there is an LBMA Gold Price Oversight Committee, and reveals that “the first meeting of the LBMA Gold Price Oversight Committee was held on February 27, 2015″. “The LBMA Gold Price Oversight Committee’s responsibilities include conducting regular reviews of all aspects of the determination of the LBMA Gold Price, overseeing any changes, setting and overseeing the rules and practice standards, approving the criteria for new direct participants and overseeing IBA’s adherence to its published methodologies”. So although the Oversight Committee is responsible for “approving the criteria for new direct participants”, the LBMA is responsible for the specific “approval of direct participants”. There is a difference. At the time of writing, neither ICE nor the LBMA have published any details of the identities of the members of the Oversight Committee or who they represent, nor have they published any agenda or minutes of the first meeting that took place on 27th February. And this is the new world of transparency for the LBMA Gold Price? Who will the 11 – 13 entities be in the Gold Price auction? It should be noted that in the new Silver and Gold auctions, the participants take part for their own bullion trades and those of their clients, and they are not obliged to represent other non-participant entities. So, for example, if bullion bank A is a participant in the new gold auction, it does not have to take gold fixing orders from bullion bank B for the fixing. Bullion bank B is expected to apply to become a participate itself (unless the LBMA don’t let them participate). The wider and more extended the participation, the more robust the data. It is quite obvious that the vast majority of the 11-13 entities on Day 1 in the new Gold Price auction (if there are even that many taking part), will be the existing LBMA Market Makers. “Since there is no centralised clearing for precious metals markets, the initial users of the new benchmark are expected to be the 11 market making members of the LBMA, which include Credit Suisse, JP Morgan, Goldman Sachs, and UBS”. Therefore, using a list of the LBMA Market Makers is a very good starting point for estimating the identities of the inner core of LBMA bullion banks that in all likelihood will make up the bulk of the 11 – 13 ‘Day 1’ ‘direct participant’ entities in the Gold Price auction. 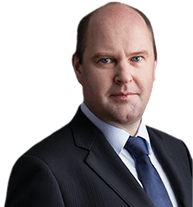 This is notwithstanding the fact that, again, there was no need for the LBMA not to introduce a centrally cleared model on Day 1 so as to broaden participation, and also since as ICE said, until a “move to a centrally cleared model”, was introduced “weaker credit names can be accommodated via pre-collateralisation”. Starting with the four existing banks in the current gold fixing, who are sure to re-enter the new auction, the first names on the 11-13 list are Barclays, HSBC, Scotia Mocatta, and SocGen. Since Deutsche Bank left the table, it would be surprising if Deutsche came back to the new gold auction so soon. Therefore I am leaving Deutsche off of my list. Next to add to this list would be JP Morgan. JP Morgan is one of the six precious metals clearers in London in LPMCL, it runs an LBMA precious metals vault in central London, and it is a participant in the Silver auction. Next add UBS and Credit Suisse, two huge players in the gold market, especially in Switzerland. Next up would be Goldman Sachs (J. Aron) which is a large player in the gold market and Mitsui, an existing participant in the Silver auction. All of these banks trade spot market make in the London gold market. I would leave out Bank of America Merrill Lynch for the moment, for no particular reason except it only market makes options in the London gold and silver market. Fast-Tracking Market Makers into the Gold auction? To become an LBMA market maker, an Ordinary member LBMA bank has to undergo a three-month probationary period, during which it has to quote bids and offers in silver and gold to all other LBMA market makers. More importantly, all of the other market makers must approve the appointment of a new LBMA market making member. In a very under covered story, three additional bullion banks very recently became LBMA market making members, namely Citibank, Morgan Stanley and Standard Chartered. ‘Officially’, this 3 month probation is the process that Citibank NA, Morgan Stanley & Co International and Standard Chartered would have gone through recently before they were all successfully reclassified as LBMA market making members in late 2014 and early 2015, which increased the number of LBMA market makers from 11 to 14. On 25th September 2014, Citibank N.A. was reclassified as a spot LBMA Market Maker for spot and options. 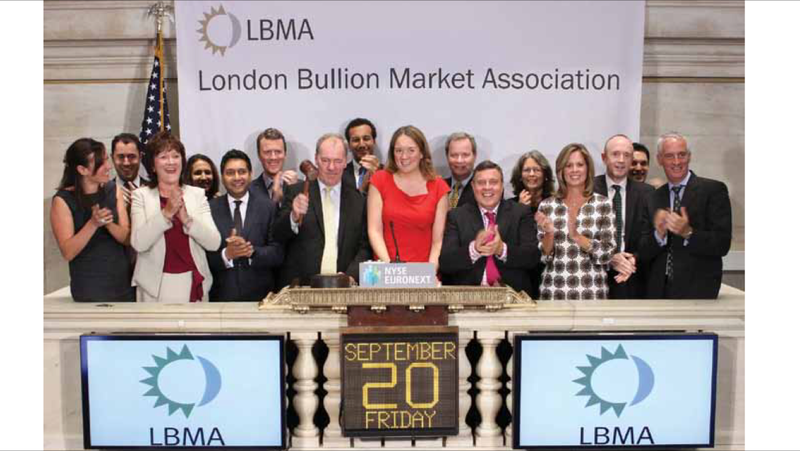 On 16th October 2014, Morgan Stanley was reclassified as a LBMA Market Maker for spot and options. On 9th February 2015, Standard Chartered was appointed as a LBMA market maker for spot and options. 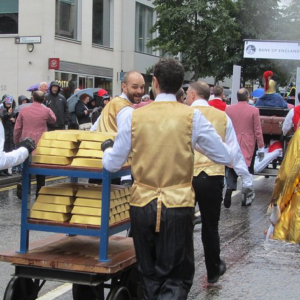 This flurry of activity of Ordinary member bullion banks being reclassified as LBMA market making members is unprecedented and suggests that these three banks may have been preparing in some way to be participants in the LBMA Gold Price auction. That’s a 27% jump in the number of market makers from 11 to 14 in five months, with all 3 occurring in the run-up to the launch of the new Gold Price auction. Before these three reclassifications, the previous transitions by an Ordinary member to become a market maker were Merrill Lynch in 2011, Credit Suisse in 2010, and Mitsui in 2007. That was three new market makers over four years as opposed to three over five months. Of the 14 current market makers, 13 are spot market makers but only five of these banks make markets in the three products: spot, forwards and options. These banks are HSBC, UBS, JP Morgan, Goldman Sachs and Barclays. In 2006, the LBMA rules on market makers were altered so that a market maker didn’t have to make markets in all three products. The other nine banks make markets in one or two of the three products. Credit Suisse, Scotia, SocGen, Standard Chartered, Deutsche, Mitsui, Citi and Morgan Stanley are market makers in spot markets. Scotia also market make in forwards, while Credit Suisse, Deutsche, Standard Chartered and Morgan Stanley also trade options as market makers. Mitsui, SocGen and Citi just do spot market making. Merrill Lynch is only a market maker in options, and notably, does not do spot. I would add the three newcomer market makers of Citi, Morgan Stanley and Standard Chartered to the ‘direct participant’ list for the Gold auction, since their transitions to market maker status could well be related to some LBMA criteria whereby the LBMA have decided to fast track market makers into the Gold auction. The running total at this stage is 12 bullion bank entities, and no ‘Ordinary’ bank members have yet been considered. A few of the above may not be on the list. Likewise, other bullion banks such as Commerzbank, Natixis, ANZ, Standard Bank or BNP Paribas may well be on the list. 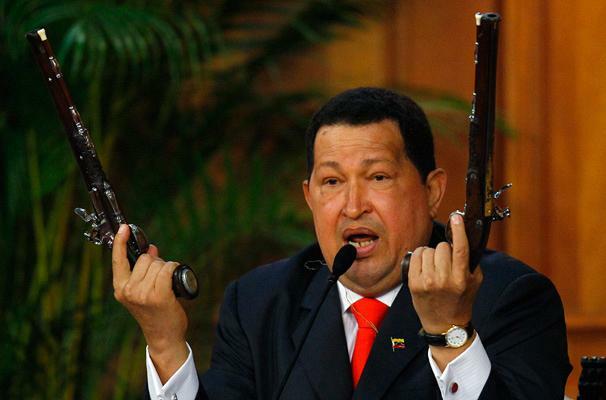 Until LBMA and ICE actually publish the list, the only alternative is to speculate. What you can take away from this guessing game list however is that the numbers of 11 and 13 entities being thrown around in November of 2014 by the LBMA and ICE probably did not include the Chinese banks. That is not to say that things might not have moved on since last November and Chinese banks may now be on the direct participant list. A series of delays in launching the Gold Price auction may indicate that participant negotiations were still going on behind the scenes. The expected launch date for the Gold Price auction was pushed back a number of times between November 2014 and February 2015. One possibility for the delays, in my view, was due to ongoing or reignited negotiations with the Chinese banks. Following the LBMA’s closed-door ‘Market Seminar’ on 24th October, the LBMA said that the new gold solution would be implemented in December/January (see page 4 of presentation). Then in the LBMA’s Lima Conference slides from 11th November it said that the implementation time-frame would be January/February (see timeline in presentation page 2 – Implementation expected for January/February). 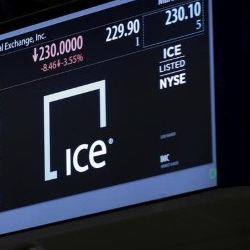 However, there was no other LBMA or ICE public reference to the Gold Price auction again for nearly two months when, on 2nd February, ICE issued a press release in which it said that “the new LBMA Gold Price…is expected to be launched in March 2015“, without providing a definite date or an explanation for the delays. The actual launch date was only confirmed on 19th February when the LBMA announced that the auction would be launched on 20th March. Then the first LBMA Gold Price Oversight Committee meeting took place on 27th February. Some people might point to a letter that the LBMA sent to the FCA, dated 30th January, in which it highlighted some regulatory confusion from an FCA paper called CP14/32 about whether the participants in the Gold Price auction would be treated as benchmark submitters or not, and about which the LBMA claimed that lack of clarification on this issue would cause delays in potential participants signing up for the auction. ICE confirmed to me however that participant sign-off was an internal matter for the participants and they did not appear to think that this submitter matter was an issue. Anyway, the FCA confirmed in policy statement PS15/6 that this submitter definition was not applicable to the Gold Price auction, so it did turn out to be a non-issue, and does not explain why the launch date has been delayed so long. The gold and silver market knew from August 2014 when the “Fair and Efficient Markets Review” recommendations were published, that the gold and silver price benchmarks were in scope for FCA regulation from 2015. Therefore, participants in the LBMA Silver Price and Gold Price auctions are not classified as benchmark submitters, and do not have to be regulated as such, so there is no reason why this should now hold up or delay approval of any direct participants for the Gold Price auction. Despite all the above regulatory questions being answered and having had at least 4-5 months of advance preparation to join the new auction, the LBMA is now making more soundings that “Not all participants in ICE gold benchmark will be in place ‘on day one’. 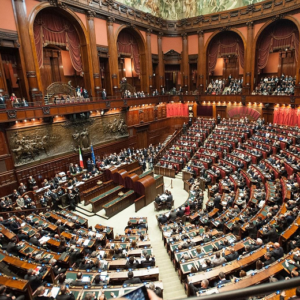 “Some of the parties intending to participate in the new ICE gold benchmarking process may not be able to do so in the first auction on March 20, the LBMA has confirmed. Internal sign-offs, regulatory procedures and credit lines with other participants may not be completed in time, it said. “I think it is fair to say there a lot of hoops for new participants to jump through,” the spokesman added. This is another astounding part of the entire Gold auction participant drama, that the LBMA is now saying that regulatory procedures and credit lines, and “a lot of hoops” are delaying participants from completing what should really have been a very simple open and transparent process to allow any credible gold market participant worldwide to sign up and participate in an open and transparent new gold price discovery process. “New participants unfortunately don’t have the framework in place like the current members of the London Gold Fix do” according to the LBMA. Isn’t that the whole point, that participants should not need any existing framework to take part? The old London gold fix has been proven to have been corrupted and manipulated. There should be no legacy connection to it in the new system and no excusing from the LBMA or anyone else that potential participants are in some way dis-advantaged because they were not part of the old five fixers club. This is truly unbelievable. And why should there be “a lot of hoops for new participants to jump through”? The entire fiasco is starting to look like it was designed by the LBMA to be as complex as possible so as to deter new participants from joining the auctions as direct participants. “Among others, several Chinese banks are said to be interested in joining some of the traditional members of the current fix in the new system. 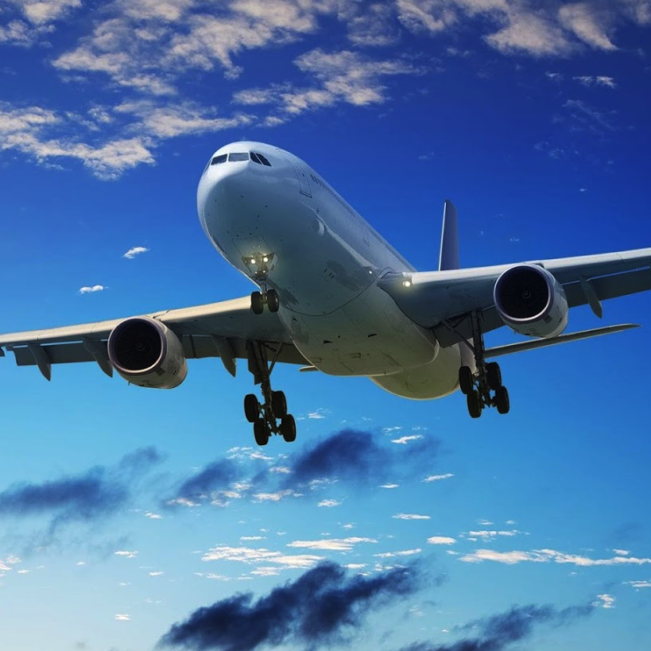 When Deutsche Bank was attempting to sell its Gold and Silver Fixing seats early in 2014, ICBC was eager to secure Deutsche’s Gold Fix seat through its interest in Standard Bank of South Africa. ICBC was also at that time rumoured to be interested in becoming a market making member of the LBMA. Neither of these events ever materialised however. 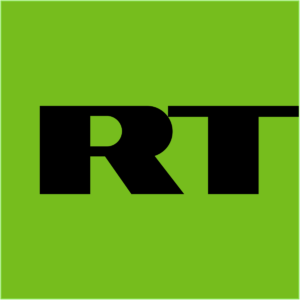 The same article also pointed out that the previous time a Gold Fixing seat was sold was in 2004 when Rothschild sold its seat to Barclays for the princely sum of $1 million; small change for a giant Chinese bank such as ICBC. “It was a case of not being able to agree on terms”. It seems hard to believe that there was an inability to agree on the price of Deutsche’s Gold Fix seat, given the deep pockets of all the parties concerned. Some other factors must have been at play. Could it have been that the London Fixing banks did not want ICBC (through Standard) to purchase the seat? It’s very unusual that given ICBC’s desire to become an LBMA market maker, that it has not yet done so, especially considering the rush by Citi, Morgan Stanley and Standard Chartered to become market makers in the last few months. “The Industrial and Commercial Bank of China (ICBC) announced on Monday the acquisition of a 60-percent stake in Standard Bank Plc. ICBC already owns 20% of the Standard Bank Group. 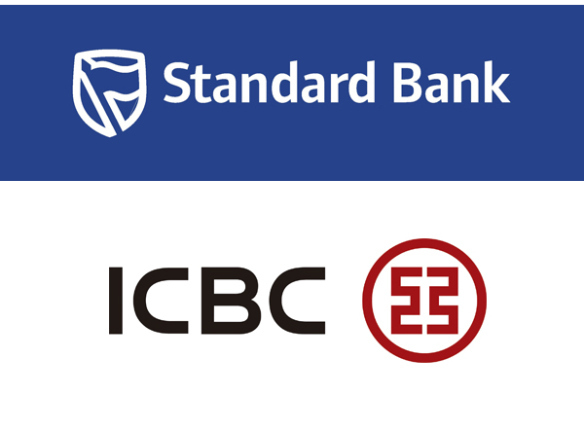 With this new 60% acquisition of a commodities and fx business through Standard Bank Plc, ICBC could well be planning to join the Gold Price auction via the Standard Bank route. ICBC were also rumoured to be interested in purchasing Deutsche’s empty precious metal vault in Park Royal, London, which is operated by G4S, which could be another interesting development for the Chinese bank as a route into becoming a member of London Precious Metals Clearing Company (LPMCL). Monday here refers to Monday 2nd March. There will undoubtedly be a sense of shock and injustice if the LBMA and ICE do not include at least one or two Chinese banks, such as ICBC, on the list of day 1 participants, which, don’t forget, is only being published on launch day, and not before. The LBMA Gold Price auction should comprise a broad participation auction of banks, trading houses, refiners, miners, jewelers and other gold market participants trading as direct participants if they so choose. It should not be a narrow auction made up solely of incumbent London-based bullion banks which is a system that has proven to have been manipulated and was successfully prosecuted by the FCA. With prolific LBMA bullion bank representation on the Shanghai Gold Exchange including UBS, Goldman Sachs, Scotia Mocatta, Standard Chartered, HSBC, ANZ, Natixis, and the opening up of the Chinese gold market and Shanghai Gold Exchange to foreign banks, it would be unfortunate if a series of LBMA Gold Price structural barriers such as credit lines, FCA regulatory issues, and ‘a lot of hoops to jump through’ provided the LBMA Management Committee with an excuse not to approve the large Chinese banks to directly participate in the LBMA Gold Price auction on Day 1 on Friday March 20th.